All fly fishers have seen the old black-and-white photos of long-gone anglers, displaying the giant salmon they just caught. KUOW, a radio station serving western Washington and Southern British Columbia, has produced a news story that helps explain why we rarely see salmon of that size today. It came to my attention through the Swinomish Indian Tribal Community Department of Environmental Protection. You can read or listen to the story at the following link. Today is International Handwriting Day. Like many such holidays, I suspect it was created by marketers. Of course, the marketers’ greatest innovation of the modern era must be “disposability.” As manufacturers were able to produce cheaper products from less durable materials, the sellers of these products convinced consumers that the less expensive versions were “convenient.” This was because consumers could simply discard the products after a short period of time and then purchase brand new ones. Sure, these disposable products were a bit cheaper for the consumer, but their replacement costs would soon outstrip the costs of higher quality versions. One of the most common of these “convenient” products is the disposable pen. In my world–academia–these are everywhere. You can find used pens on desks, on classroom floors, and obviously in the garbage. This adds up to a lot of discarded plastic that will never be recycled. On International Pen Day, you might consider switching to a refillable pen or even a good old-fashioned wood-cased pencil (biodegradable wood and recyclable tin erasure ferrule). Kaweco, a German company, offers quality fountain, ballpoint, and roller ball pens, as well as mechanical pencils, at affordable prices. The popular Kaweco “Sport” fountain pen–a small, durable “pocket” pen– has been around for over one hundred years. A new one will run you twenty to twenty-five dollars, and it will last a long, long time. If you use a felt-tip highlighter pen, consider switching to a highlighter pencil. The one pictured below is a “Wood Note” pencil from the Japanese pencil-maker Kita-boshi. You can find many other highlighter pencils online. If you are like me, you care about the impact that you have upon the earth and it’s inhabitants. You want that impact to be positive. Avoiding disposable products and using longer-lasting and/or biodegradable products is an easy way of at least making your impact less negative. A nice pen might even motivate you to improve your handwriting, create a poem, send a letter to someone you love, or do some other thing that will impact others positively. Noodler’s “El Lawrence” ink and Kaweco “Sport” fountain pens. Kita-boshi pencils and Kaweco Skyline Sport. Most of us have friends, who have found themselves in dark places. Sometimes the reasons our friends are in such situations are obvious–the reasons are “environmental,” psychologists might say. Other times, our friends are lost for more complex reasons. Occasionally, we can still identify some causes–grief, trauma, mental illness, or a combination of these and other things. Regardless, we want to help our friends find their way out of the darkness. Sometimes, a gift of money or even just emotional support can provide our friends the nudge they need to find the right direction. But other times, especially in the more complex cases, we just don’t know what to offer. And when we finally find something, we aren’t sure if it will be of use. Time spent out-of-doors is what often gets me through the rough patches in life. Such time helps me reorient, to find my bearings, and to continue on through the difficult terrain waiting for me at work, home, or wherever. Not surprisingly then, when friends are disoriented and depressed, I often suggest they spend some time away from their busy lives. In many cases I suggest they go fly fishing. In the great semi-autobiographical novella, A River Runs through It, we find author Norman Maclean struggling throughout the story to help his brother, Paul. Paul Maclean is troubled by an apparent gambling addiction and perhaps by alcoholism. At one point, Norman discusses this problem with his father. Readers will recall that the father, John, is a Presbyterian minister in Missoula, Montana. Like his sons, he is also a flyfisher. Indeed, he taught his two sons to fish. The following passage describes the discussion between Norman and his father. Norman, of course, is the narrator. He went to the door and looked out and when he came back he didn’t ask me any questions. He tried to tell me. He spoke in the abstract, but he had spent his life fitting abstractions to listeners so that listeners would have no trouble fitting his abstractions to the particulars of their lives. “Help,” he said, “is giving part of yourself to somebody who comes to accept it willingly and needs it badly. “Do you think you help him?” he asked me. “That should have been my text,” my father said. “We are willing to help, Lord, but what if anything is needed? (Norman Maclean, A River Runs Through It and Other Stories, Twenty-fifth Anniversary Edition. Chicago: University of Chicago Press. 81-82). So, Norman and the Rev. John Maclean give “parts of themselves” to John and go fishing. They give their time, their passion, and their love as family members and fishermen. In the story, Norman indicates that this fishing trip was meaningful to all. Perhaps it was helpful, too. However, it was not so helpful that Paul was able find a path away from his troubles. In the story, he is beaten to death at Lolo Hot Springs. In real life, he met a similar end in Chicago. 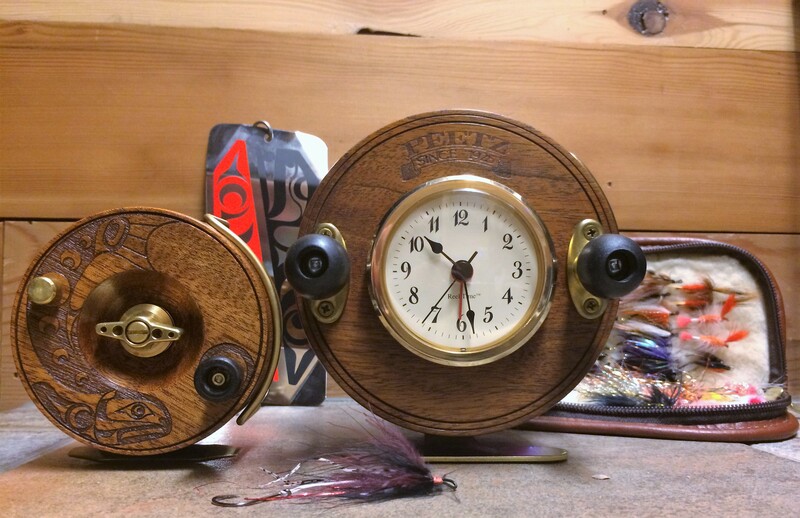 “The Trout” and old Peetz “Reel Time” clock. The items in the picture above usually sit on a shelf above my desk, at home. The reel on the left and the flasher in the background feature designs by Native artist Jason Henry Hunt. Hunt, a Kwaguilth descendant, collaborates with Peetz Fishing & Outdoors to produce their “Artist Series” of products. 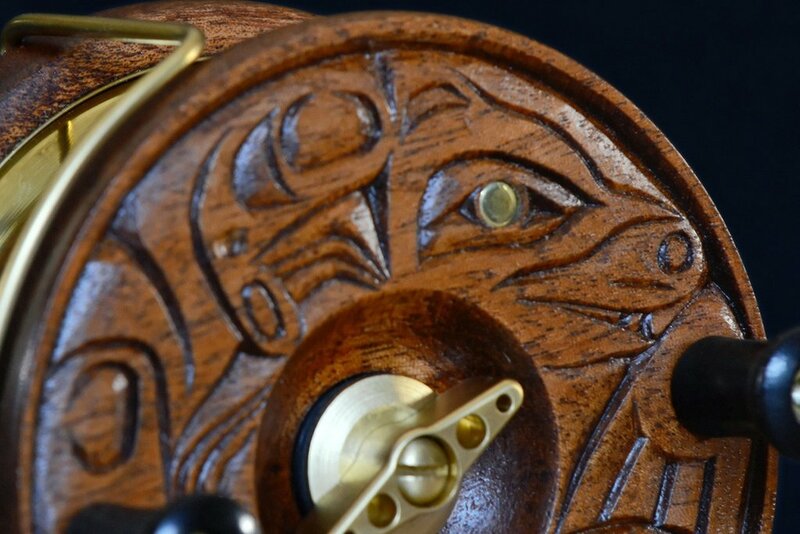 Hunt’s hand-carved 5-inch reel, called The Hunter, is particularly nice. Peetz offers laser-engraved versions of Hunt’s designs as more affordable alternatives to the hand-carved reels. “The Hunter.” Photo from Peetz website. The native fish of the the northwestern United States and western Canada are particularly important to many Tribes or First Nations. Therefore, some of the Tribes are actively involved in fisheries rehabilitation and conservation. Many Nonnatives simply consider tribal members as competitors for the same fish; they don’t understand the roles that Tribes play in ensuring the fish are there in the first place. Nor do they understand the sacred value the fish have for most tribal members. Peetz does understand these things. If you do too, you might look into ways that you can help support Native crafts-persons like Hunt or otherwise acknowledge the First Nations in the region, who help protect the waters we now share and the denizens therein. 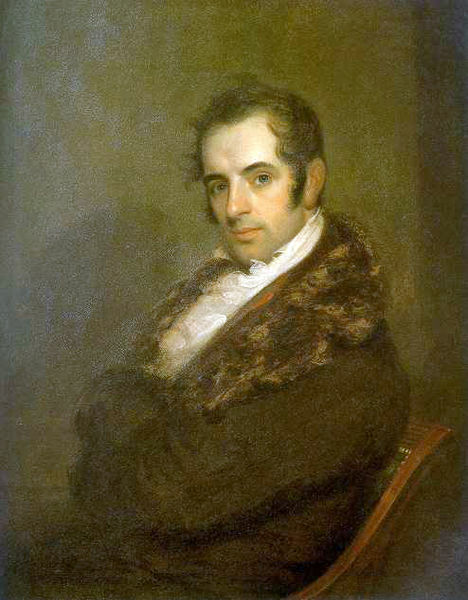 At this time of year, Washington Irving’s well-known “The Legend of Sleepy Hollow” is often brought to mind. This, of course, is the classic tale of schoolmaster Ichabod Crane, his romantic rivalry with Brom Bones to gain the affections of Katrina Van Tassel, and his terrifying encounter with the Headless Horseman. It was originally part of a much larger collection of works by Irving, titled The Sketchbook of Geoffrey Crayon, Gent., published in 1819 and 1820. “The Legend of Sleepy Hollow” has subsequently been published many times as a solitary work. The person who actually reads “The Legend of Sleepy Hollow” in the Sketchbook, will find that it is preceded by a reminiscence entitled “The Angler.” Here, Irving shows a very clear familiarity with fly fishing and angling literature. He first describes his initiatory fly fishing trip “along a mountain brook among the Highlands of the Hudson.” He admits to fishing poorly at the time and finding more pleasure in setting aside the rod and reading “old Izaak” Walton’s The Compleat Angler. Later, he also mentions reading the famous “Tretyse of fishing with an Angle” (Irving’s spelling), as well. I could not but remark the gallant manner in which he stumped from one part of the brook to another, waving his rod in the air to keep the line from dragging on the ground or catching among the bushes, and the adroitness with which he would throw his fly to any particular place, sometimes skimming it lightly along a little rapid, sometimes casting it into one of those dark holes made by a twisted root or overhanging bank in which large trout are apt to lurk. The sweetness and serenity of Nature and the quiet watchfulness of the sport gradually bring on pleasant fits of musing, which are now and then agreeable interrupted by the song of a bird, the distant whistle of the peasant, or perhaps the vagary of some fish leaping out of the still water and skimming transiently about its glassy surface. It is worth noting that Irving admits nature is a bit more tame in early nineteenth century England than it is in America. Indeed, his description of the Hudson Highlands is markedly less positive than his description of the English countryside. Regardless, it is a curious thing that Irving’s recollection of “The Angler” is followed by his tale of the very nervous Ichabod Crane, who is is greatly afraid of so many things rightly and wrongly associated with nature. In Irving’s world, it is likely that Crane would have met a more certain and happy end, if he had been a fisherman, at peace in the woods during his ride home from unsuccessfully wooing Ms. Van Tassel. In fact, in Irving’s world, a more peaceful Crane might have been more successful in his wooing, in the first place (and perhaps it was the demeanor supposedly achieved through fly fishing that made Irving the rumored object of affection to the likes of the widowed Mary W Shelley and others). This following essay is written by guest Jed Feffer, who is a mutual friend of North Carolina bamboo rodmaker Munsey Wheby. Jed is a retired teacher, and he has been fly fishing for nearly 20 years. Like me, Jed often feels a strong sense of connection, while fishing. “It can give me a heightened sense of the small details around me,” Jed writes. It’s my pleasure to share his great piece. Both the writing and the pictures are his. Driving up over Eden Mountain Road is a joy. There is the cooling of the air, and at the peak a stained barn, stately and dark. The bark of the bordering maple trees are like the barn wood. The inhabitants have built on the wall, and by the border trees statuaries of stone. These are pillars of varying sizes and shapes, that add a fanciful touch to Eden Mountain Road, and the neighboring woods. Someday, I will stop there to gaze over the southerly view, where the mountains, hills and farm fields fan out. Usually, I am in a hurry to the town of Eden Mills, then farther to Belvidere Center, where the North Branch of the Lamoille begins its sparkling descent to the Lamoille. Today, I pay more attention to the northerly view. I consult my map, and find the peak to the north is Belvidere Mountain. The Long Trail winds its way to its peak and beyond. I note its closeness to our home in Greensboro. It would be an easy day hike. I think how brilliantly alive the trees would be in the fall, and how bracing the air with the sweet smells of leaf dryness and decay. Below and out of sight is Lake Eden, the source of the Gihon River, and beyond that the bog that gives rise to the North Branch. I remember the loss of a large Brown in the pool off Bog Road. I was using a weighted stonefly nymph, and as it swept into the current I felt the snag of a rock. Pulling up on the rod tip the snag began to move across the pool. I was tight to a large fish. As I drew it to the lip of my net I could see its mottled back and hooked jaw. The net sent it shooting behind a rock wedged against the riffles. It only took the pressure of the water and the stone to pry loose the hook. That loss I note whenever I pass by Bog Road south into Belvidere Center, and then downstream to Back Road. The section of the North Branch paralleling Back Road is one of its prettiest. Back Road runs on the other side of the river from Route 109. But Back Road carries with it a peaceful sway that Route 109 cannot possess. It is a dirt road with curves and shadows, and houses set along its length, and even a single covered bridge. My first stop is where the road veers to the woods. Across the way is the prettiest white house and barn you can imagine. Rarely is anyone home, yet the house is clearly furnished, and the lawn always trimmed. The house is newly painted, and the other out buildings are well spaced. Today, while walking back from fishing, I notice the screened in porch, and the shaded kitchen with table and appliances. You know, a home away from home for a weary fisherman. I have not forgotten fishing on the North Branch, but the details surrounding water, roadway, mountain, and house are all part of it. They are at least half of the reason for going. Today, it has just passed 1:00 p.m. I have already eaten half my lunch under a blue spruce near the Eden General Store. I’ve passed the upstream spots I’ve previously fished, and the others that I have ignored for lack of easy access. I like stopping by the white house and its garage. The road’s sway beckons the fisherman out of his car, and into the woods bordering the stream. Today, I string up a 3 weight fly rod with a 4 weight line. I am going to wet wade because the air is 75 degrees. I tie on a small muddler minnow to my leader. It’s been so long since I used a muddler minnow. It has a cleanly cut deer hair head and a thin body of tinsel. As a teen-ager I used them to catch brook trout. All the stones in the North Branch must have sculpins darting amongst them. The muddler minnow is a good sculpin imitation. I’ve spotted a couple of nice runs that should have fish in them. I wade over to a deep run, but multiple casts of the muddler yield no strikes. I notice that in this fast run the muddler doesn’t have the weight to achieve any depth, and it swims only a few inches below the surface. Midday fish are likely hiding down close to the rocks. Inspection of the bottom reveals many caddis homes, one large stonefly nymph, and many mayfly nymphs. I decide to nymph with split shot, a yellow plastic “indicator” and a gray and brown pheasant tail nymph, highlighted by a gold bead. This is a good imitation of the nymphs on the underside of the rock. I swing my line upstream, so the nymph sweeps into the run. This I do a half-dozen times without a strike, so I adjust the indicator to achieve more depth when the nymph hits the run. I cast further upstream to give the nymph more time to gain depth. Then it happens, a fish is on before my brain is aware of it. My hand knows it, as the fish peels line out of the old Hardy reel. This fish fights hard for its size and puts a good bend in the cane rod. In a few minutes, I have a gold bellied trout to net. It has big irregular spotting on its back. I notice its eye has that subtle awareness of its surroundings. I hold him in the water to release him. He quickly clears my hand with a friskiness that speaks health and vigor. I make my way downstream appraising the depth of the water, and adjusting the leader length accordingly. Water depth is constantly changing in a stream, and for my nymph rig to be effective I have to change the distance of the indicator to the nymph. The indicator keeps my nymph moving in a straight line as it flows with the current. Separating the indicator further from the nymph allows it to move at a greater depth. Now I am in water inches deep, and I get strong, rapid slashes at the nymph. The fish are hungry and they are spotting the nymph quickly and grabbing it. 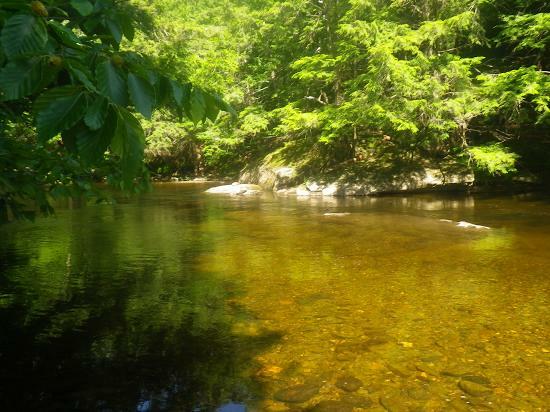 As I fish these riffles I notice the tall, red barked Hemlocks that shade the river, and the light, new green growth of their leaves. The bank is thick with birch and beech trees. There’s a bench above the river bordered by pink and purple lupines. I’ve brought in 3 fish so far. The last one jumped suddenly in the riffles. I’ve also lost four or more fish to insecure hook sets. Still, the action is frequent and surprising. These fish are holding in small water among the rocks. They are getting the shelter and aerated water they need. I’m so immersed in the fishing I fail to grasp how my nymph gets caught on the back of my shirt. When these things happen in fishing they prove all but overwhelming. I see the direction the hook has taken, but tugging on the hook only creates a tear in the material. I decide finally to take off my shirt. Standing bare chested I try and find a way to remove the hook. It’s too late. All my tugging has broken the hook and my pheasant tail nymph can no longer be used. I don’t have another one like it. Fishermen are inclined to invest supernatural powers to flies. When they are working they exert magical power. I have placed my trust more in this fly than is warranted, and my confidence drops. I try any number of other nymph varieties: a beaded black nymph, a hare’s ear with green irridescent sides, and a brass beaded pheasant tail. None produce like the dull brown and gray nymph. I attribute this to “Fisherman’s Magic”; the desire that imbues a fly with magical enchantment. A logical explanation is that the little nymph is like all the common mayfly nymphs that cling to river rocks. These are the nymphs the trout know and expect. Enough of reasonable conclusions. Better to have a talisman, a lucky rabbit’s foot, an enchanted trout fly. As I work my way downstream a boy emerges by the shore on his bicycle. “Catch anything”? he asks. “If you caught them, where are they?” he asks incredulously. “My dad makes me do that.” He adds sorrowfully. He continues to ask me more questions about the fly, about the rod, the leader and tippet. I satisfy most of his questions, and he pushes his bike up some steps to a dirt path and disappears. I realize by now that I am getting tired. I am slipping more on the rocks. I find myself less patient with the surrounding flow of the water, and I am getting hungry. It is really time to leave, but as the light wanes I imagine the large browns moving from their hiding places, and assuming evening feeding lanes. How can I go home now, just as the biggest fish of all are beginning to stir? I walk up the stairs, down the path to Back Road, and to my car across from the white house. I will drive down to another spot. I find one about a half mile down the road. After getting out of my car, I can see a large, shaded pool. I find a way to the river, careful to take my wading staff. I approach the slow, dark pool and see the faint rings of a rising trout. As I watch, the back of a fish breaks the surface. This trout is rooting for nymphs. As these fish feed, a couple mayfly spinners dance on a column of air. A few white mayflies rise casually above the water. On the far side of this dark pool a trout makes two gulping rises. I take off my mayfly nymph, and tie on a lightly colored mayfly dun. It’s a tricky cast to this rising fish because the fly has to pass over the fish, just as the water speeds up over some debris. When I retrieve the fly back over the lip of wood, it intercepts a branch sticking out of the water. This branch proves to be a graveyard for my flies. I lose three flies in a row to this branch. I have nothing complimentary to say to this branch. The rising fish knows just how to keep me interested in this difficult target. On one of many casts he seems to boil near my fly as I retrieve it. I am never sure whether he is chasing a real insect, or pursuing my fly. This mystery, and the difficulty of the cast keep me casting to him. If this fish proves irresistible, then another huge fish to my left increases my interest in staying. The fish looks to be the size of a small beaver, as its back and fin come out of the water. I continue to cast my dry fly first to the fish by the lip of wood, and then to the giant who just showed himself. But my hunger, and the growing darkness are playing on my nerves. I am beginning to dream of a warm dry place with plenty of food. I reluctantly turn toward the shore, and wade in the direction of my car. The drive back down Eden Mountain Road will be in the opposite direction, but the stone statuary will still be there, and the darkly stained barn. I will keep in my memory that one riser by the lip of woody debris, and his tag team companion boiling in the center of the pool. They will keep me coming back to the North Branch for another day of fishing. The other day, my daughter caught her first trout with dry flies. She has fly fished in the past, catching trout with streamers and pan fish with dries. Indeed, I drag her to my favorite rivers, streams, and lakes regularly. More often than not, however, she is more interested in looking for tracks, watching birds, and spotting four-legged wildlife than she is in fishing. Her second trout on a dry fly. She caught these recent trout using a Hardy “Flyweight” reel and a Hardy fiberglass rod, named the “Aln.” These were given to her, when she was only three or four months old, by dear friends. During the morning of the day we fished, I happened to tell her about the River Aln and the town of Alnwick, in Northumberland, England. Most readers probably know Alnwick as the location of Hardy’s domestic tackle factory and museum. My daughter, however, was more interested to learn that Alnwick is the home of Alnwick Castle, which was used as the fictional “Hogwarts School of Witchcraft and Wizardry” in the first Harry Potter film. We had just watched this movie the previous day, and we were still talking about it. 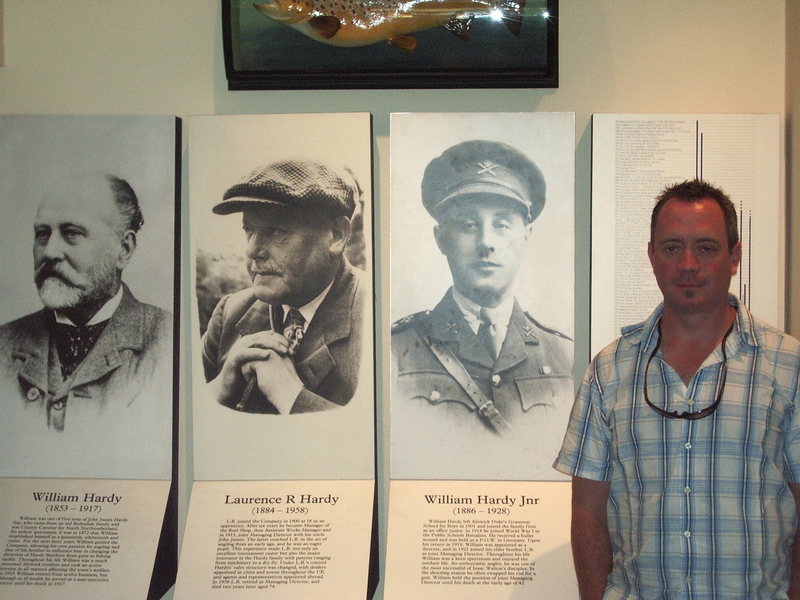 The author, at the Hardy Tackle Museum. My daughter just recently began reading JK Rowling’s Harry Potter books. So, it was fun to tell her I visited the Hogwarts of the first film with the very friends who gave her the rod and reel she used later that day. I also took pleasure in showing her that the the castle logo on her rod and reel actually refer to that same place. 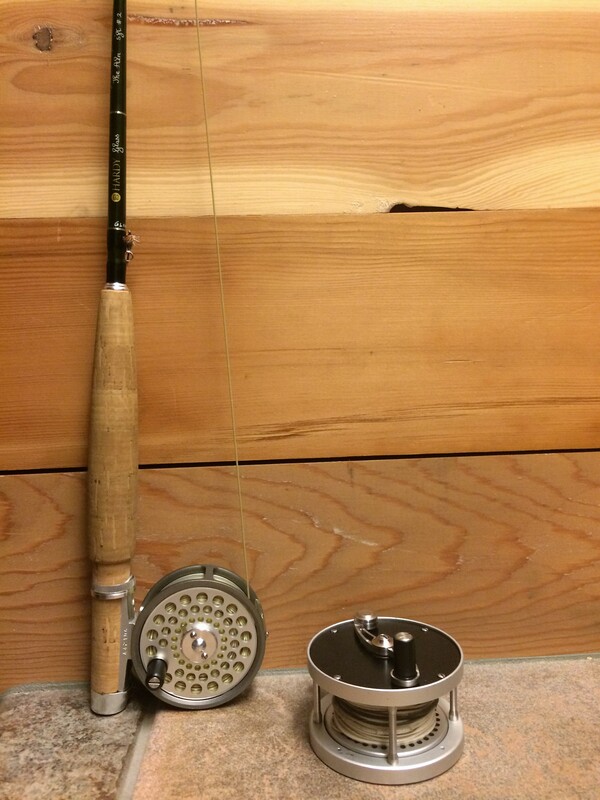 My daughter’s rod and reel, with a Bozeman “SC” reel. The Hardy castle and other imagery. 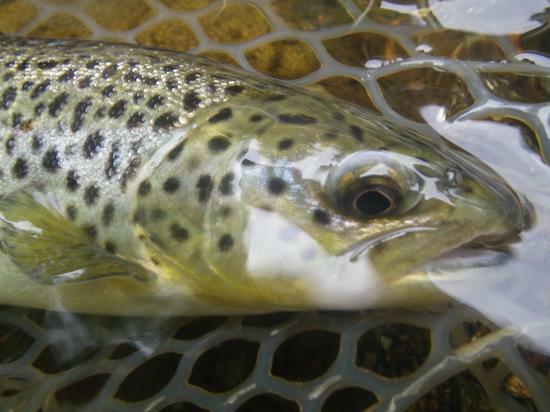 Like author and fly fisher, John D. Voelker (pseudonym Robert Traver), I sometimes view trout fishing with flies as a type of magic. 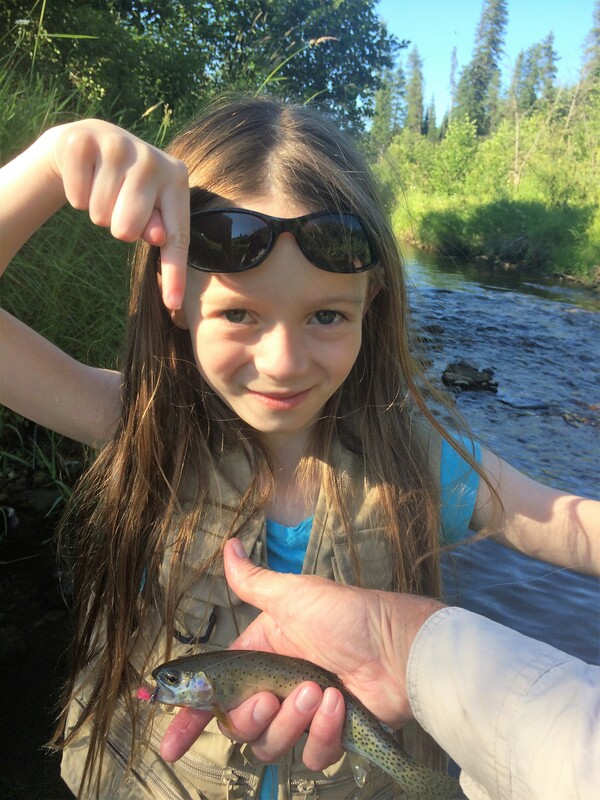 Seeing my daughter catch her first trout with dry flies was one of the greatest manifestations of this magic. At that time, her rod was almost like the wands used by the characters in Rowling’s books. Therefore, it makes a strange but perfect sense that her rod carries the stylized image of Alnwick Castle, or, from my daughter’s perspective, Hogwarts. 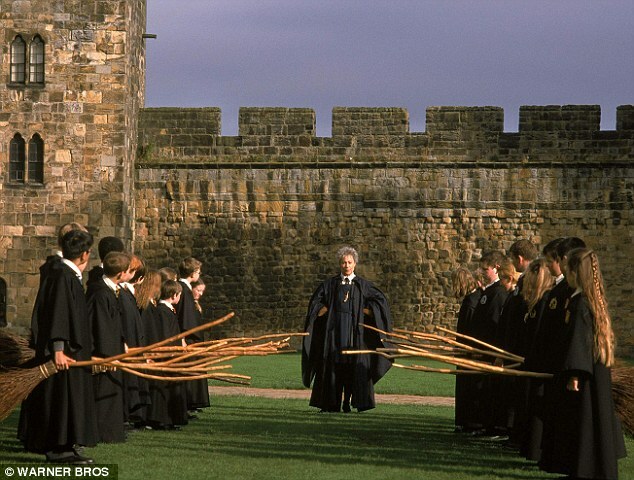 Alnwick Castle, as seen by viewers of Harry Potter and the Philosopher’s Stone (2001). Copyright Warner Bros Pictures. 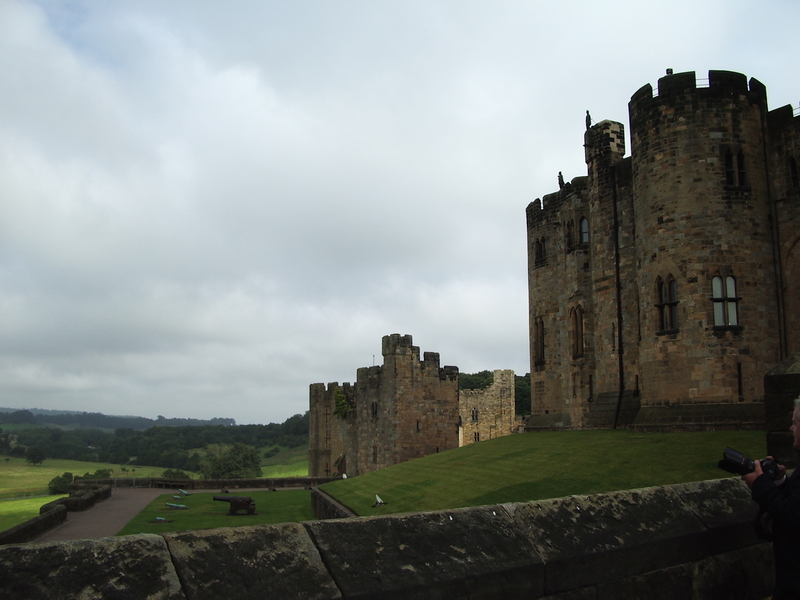 Alnwick Castle, as seen by the author. Conservationists, commercial fishers, sport fishers, and Alaska Natives have fought what is known colloquially as “The Pebble Mine” for years. Canadian mining company Northern Dynasty hopes to build this mine in the Bristol Bay Watershed of Alaska, in order to extract gold, copper, and molybdenum. Such mining operations exact a heavy toll upon the environment, and this particular mine would be one of the largest in the world. 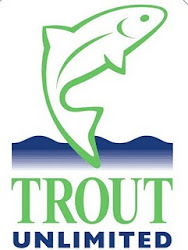 Opponents expect the proposed mine t to have a massive, negative impact upon wild salmon and upon the many people, Native and Nonnative, who depend upon them. The Environmental Protection Agency confirmed this expectation in 2013. Subsequently, several major financial backers, including Northern Dynasty’s main partner, abandoned the project. One of them, Rio Tinto, gifted its shares to two nonprofits, one of which (BBNC Education Foundation) promotes Indigenous education and cultural preservation. Despite such huge opposition, Northern Dynasty plans to move ahead with permit requests. With a new US President, who supports extractive industries at any cost, and an EPA director, who condemns his own agency’s regulatory powers, Northern Dynasty has reason to be hopeful their requests will be granted. In 2014, filmmaker Mark Titus directed an award-winning documentary about the Pebble Mine and Pacific Salmon, titled The Breach. In the face of Northern Dynasty’s new push to advance their project, Titus has created another short, informative film. Please watch it, below. And if you already voiced opposition to the Pebble Mine, know that you must continue to do so. Even if you do not have ties to Alaska, opposition is important. In the current political environment, an environmentally devastating project like this may soon be proposed in your neck of the woods. 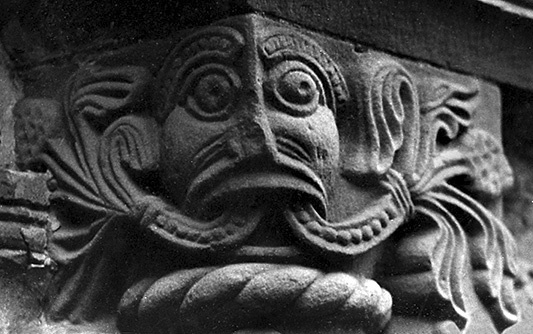 Green Man carving, circa 12th c., from Church of St. Mary and St. David in Kilpeck, England. Wikimedia Commons. Jim Harrison portrait by Andy Anderson, from Dead Man’s Float. 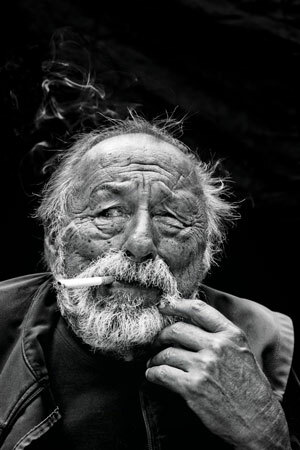 In Jim Harrison‘s final book of poetry, he includes a piece on the Green Man. This figure appears repeatedly over the centuries in European and Euro-American literature and art. His exact origin is unknown and interpretations of his symbolism vary greatly. Historically, from certain Christian perspectives, he represented the base world, Paganism, and the devil itself. From more mystical Christian perspectives, he represented the Holy Spirit and the life God breathed into all that lives. The best known manifestation of the Green Man may be in Arthurian tales, particularly in the 14th c. Middle English “Sir Gawain and the Green Knight” (author unknown), wherein his meaning is as ambiguous as ever. In the 1990’s he was romanticized by poet and so-called “Men’s Movement” founder Robert Bly. Today, he receives positive attention from many neo-Pagans. Regardless, the Green Man is most often associated with “nature,” wildness, and similar concepts. Certainly, this is the association Harrison has in mind. In his poem, titled simply “The Green Man,” the figure embodies knowledge of how one should live in the non-human world. But if we consider the poem in the context of Harrison’s other non-fiction work, we might argue that his Green Man embodies knowledge of how one should live always. 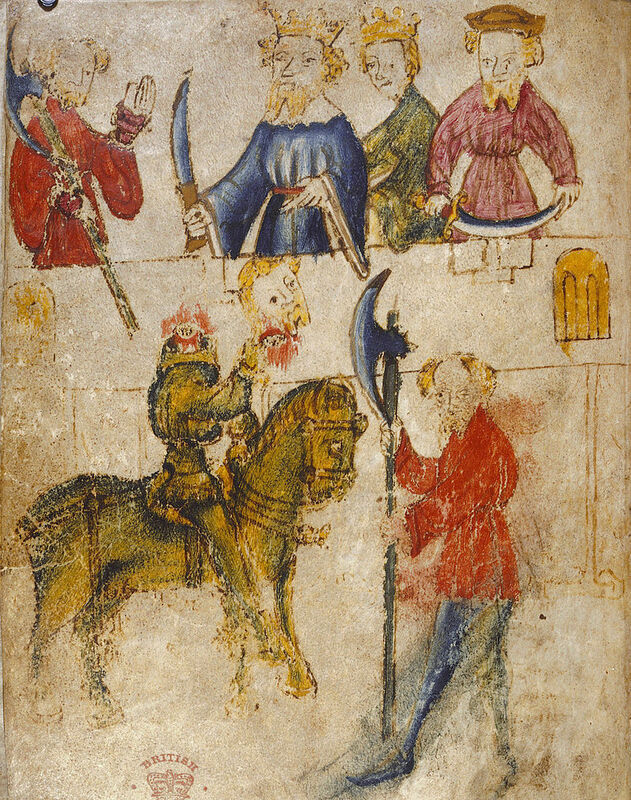 Illustration of the Green Knight (holding his severed head), from the original manuscript containing Sir Gawain and the Green Night. Wikimedia Commons. lived there, part tree and part human. Keeping his distance he told me a lot. to confuse those who would track you. a warbler standing on your toe singing. down into the river, a sign to give up. wouldn’t stay with me. The Green Man, alone, forever. Jim Harrison, Dead Man’s Float (Copper Canyon Press, 2016), 54. Filson recently posted a great article in their Filson Life blog. 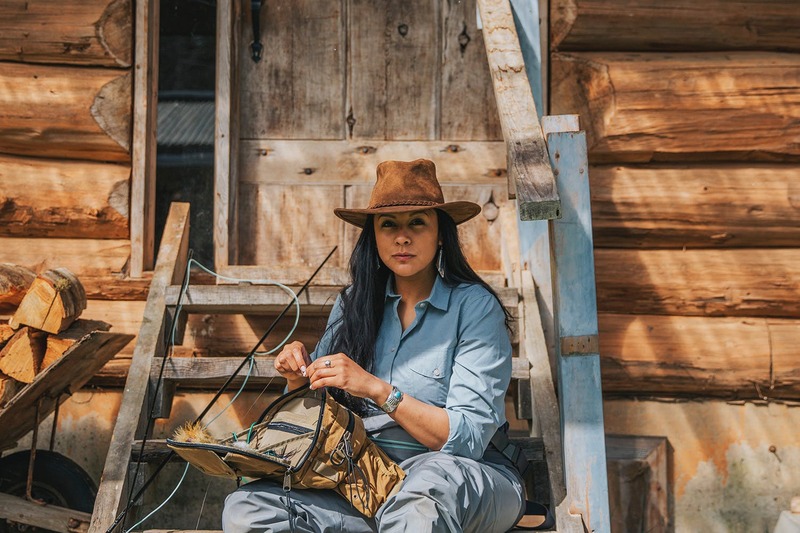 In the story, “Navajo Fly Fisher: A Journey Towards Understanding” (May 1 2017), author Ruth Sims describes her discovery of fly fishing and how it relates to her identity as an engineer and Navajo woman. She writes, “My love for our land and water goes beyond fly fishing, I consider it my calling in life to help take care of our earth…its just that fly fishing happens to be a beautiful bonus.” Sims’ article is a nice piece of writing, and photos by Megan Taylor complement it well. Filson, as most readers know, is a well-established Seattle-based manufacturer of outdoor clothing and gear. 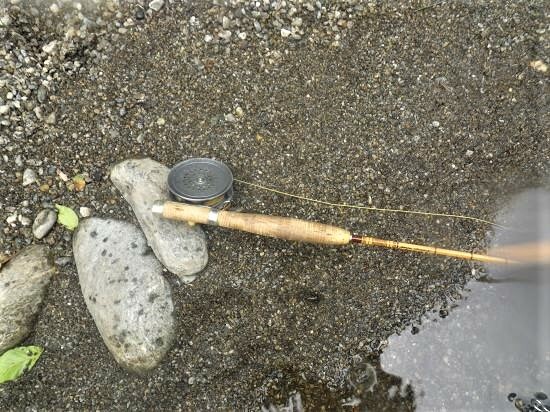 They have long offered some basic fly fishing items, such as vests and wading jackets. I personally love my Filson fly-fishing gear, particularly my strap vest (now discontinued), and it has held up very well. While not cheap, these items are so durable that they have proven to be a good investment. Filson expanded their fly fishing range for 2017, adding some nice items. Ms. Sims wears some of them in photos accompanying her story. Unfortunately, Filson’s newest offerings are priced so extravagantly that they unaffordable to those of us who spend as much time on the water as we can. This contradicts the image that Filson promotes of itself as an outfitter to miners, loggers, and others, who live and play hard outdoors. With few exceptions, those of us who prioritize living close to the land, sacrifice any possibility of greater income to do so. Still, some Filson items remain reasonably priced, and the company’s aesthetic can be enjoyed for free via its blog. Of course, Ruth Sims story stand alone as an interesting bit of writing. So, give it a read at Filson Life, and check out some of the others pieces of writing as well. This work by Kenneth H. Lokensgard is licensed under a Creative Commons Attribution-NonCommercial 4.0 International License. Based on a work at theliteraryflyfisher.com. Permissions beyond the scope of this license may be available at theliteraryflyfisher.com.